Liu An-chi (Liu Anqi) commanded Kuomintang 78 Division when war broke out in the Pacific. He later commanded 57 Army during Ichi-go. Liu joined the Kuomintang on Taiwan (Formosa) following their defeat in the Chinese Civil War in 1949. 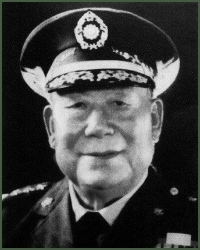 He subsequently rose to the highest ranks of the Kuomintang armed forces, including Commander-in-Chief of the Kuomintang army.